How did your love for beer-making begin and how did Barrel House Z get started? I’m from California originally and went to school at the University of California-Davis. My major was fermentation science, which is what you study to be a winemaker or beer maker. Ultimately, I decided to do the beer path. This was back in the mid 80’s when there wasn’t really a craft beer business per say in the U.S. After graduating in ‘85, I was thinking I was going to work at Anheuser-Busch or something like that. So, that was where I was interviewing. One day the guys who started Harpoon came out from Boston. They were at Davis to recruit someone to be their head brewer. They had this idea for a brewery but didn’t have a brewer and UC Davis was the place to go. I interviewed and they made me an offer. So, that’s what I did! I came out to Boston and spent some time making beer in my apartment in Brighton before they finally got their space down in the Seaport District, an area which is so much bigger and nicer than it was back then. 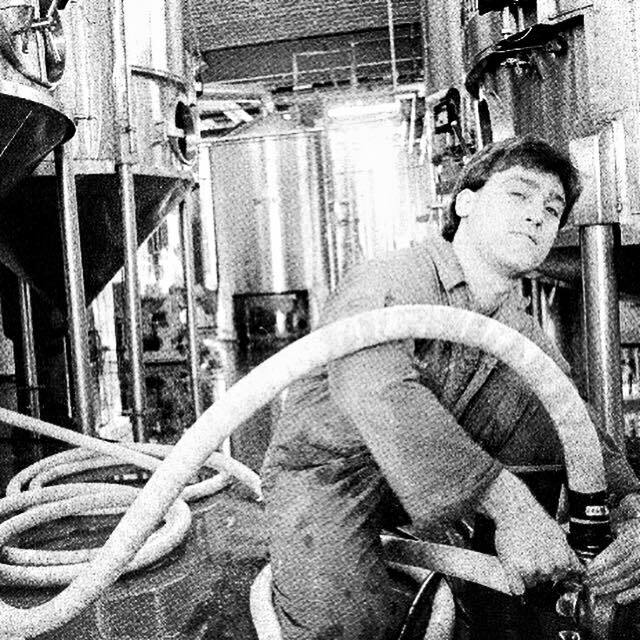 I developed the recipe for the original Harpoon Ale – the very first product they had was my beer in 1986. I was at Harpoon for quite some time. I went back to business school to broaden my knowledge basis. In 1992, I received my MBA and left Harpoon for a sales position at JV Northwest, a leading manufacturer of craft brewing systems. I did that for a while and then ended up at BP Biofuels, managing an alternative fuel ethanol project. Interesting enough, it was alcohol just not the kind you drink. And then in 2015 BP decided the alternative fuel platform wasn't a viable business and closed the division. I was at a crossroads. I wasn’t sure what I was going to do. Throughout the years, I had stayed in touch with the people at Harpoon. I also became friends with guys at Bully Boy Distillers in Boston. After lots of conversations with them, I saw a niche for barrel-aged beer. It was a kind of beer that I liked and something people were beginning to understand. I knew how to make beer and Bully Boy had barrels to spare after they used them at the distillery. Everything started to come together. I knew these people and brewing is what I really love to do. I just wanted to get back into it and give it another go. So that’s how the idea started and then it began to take shape. There was lots of planning until last summer, when we first began to make small quantities of beer with our 4-barrel pilot system. Last summer, you could buy beer to-go, but we would only have a couple releases at a time because we could only make so much beer. By the time we got our pour permit for the taproom, it was mid-September. Now, the taproom is a great place to hang out and have a beer. We also have a 20-barrel system so we produce beer for distribution on draft and in bottles. You can find our beer in packages stores and pubs all around Boston and on the Cape and Islands. I understand that you guys do things differently than the normal brewery. Tell me more! What’s different is that the focus is on the barrel-aged beer, although we do produce beers that aren’t barrel aged too. The difference between a barrel-aged and non-barrel-aged beer is that after brewing the beer, instead of putting it in the finishing tank, we take it out of the fermenters and transfer it into the barrel. Depending on how long we leave it in a barrel and how “wet” the barrels is, a beer might pick up more flavor or alcohol because it is leaching left-over liquid that has soaked into the barrel. Barrel aging can give you the flavor of the spirit itself, sometimes it gives the flavor of the barrel char. Many barrels are charred on the inside to give more flavor. Sometimes you get notes of vanilla or brown sugar or fruit. It really depends on the barrel. We age beers in all sorts of barrels, from rum & whiskey to cider, chardonnay, calvados – just about anything. Some beer companies do barrel aging as a side project while we embrace it as our core business. We do, however, produce non-barrel aged beers (we call them ITB for In The Buff). This gives people a comparison between barrel aged and non-barrel aged. Definitely something that sets us apart! What is BHZ LIFT OFF? We’re celebrating our first anniversary in June. 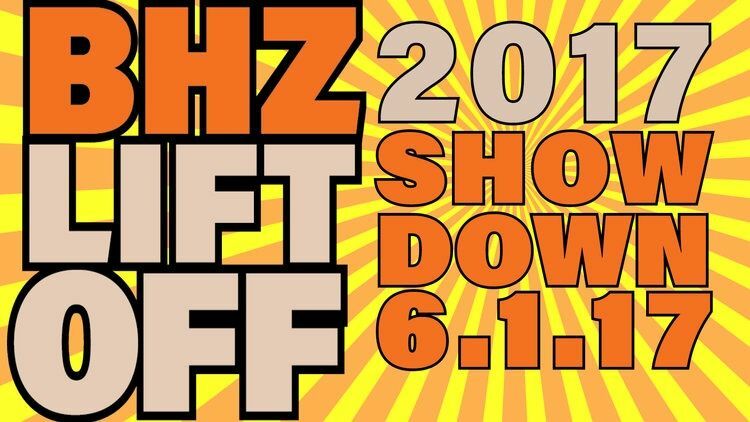 Leading up to the celebration on June 10, we are holding 2017 BHZ LIFT OFF which is our home brewer contest. This is our second annual LIFT OFF contest. The competition is for home brewers, with a great local homebrew club handling the judging to narrow the field to three finalists. The winner will have their beer produced and travel to the Great American Beer Festival in Colorado. We’ll also release their beer for commercial distribution. We just produced the first beer for Joe D'Auria, brewer of Jane Rae’s Amber Ale which was named after his wife. Jane Rae’s hit the market in mid-April. Right now, we are down to three finalists and on June 1st we’ll determine which finalist is crowned BHZ LIFT OFF champ. We are having an event at the brewery that night with a blind taste test to determine who will be the winner. Don’t miss out on this event! No registering or fees - get down to Barrel House Z and determine who is the next winner! 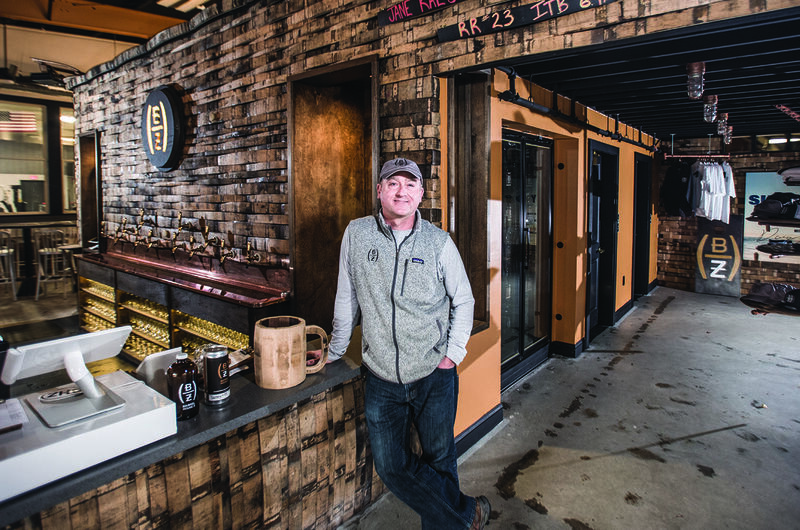 What does the future of Barrel House Z look like? We don’t want to be a big mass beer kind of company, that is not who we are. We want to continue to get the word out for people to come to our taproom and to buy our beer in package stores, pubs, and restaurants. 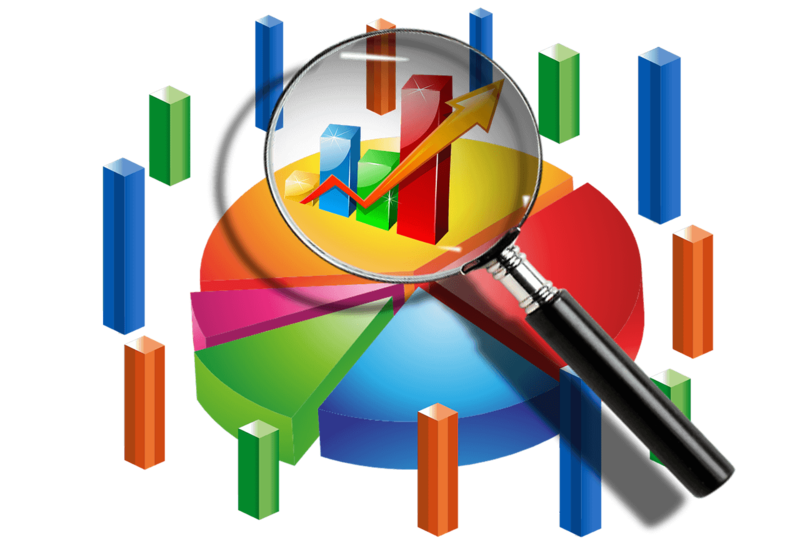 We would also like to continue to grow our distribution throughout MA and into RI. Do you have any pointers or tips to give to other entrepreneurs out there who are wanting to start their own brewery or get into this type of business? Definitely need to do your homework. Visit a ton of different places. It is fun homework to do, there are definitely worse assignments! Brewers like myself look at the current increase in the number of craft breweries with “a rising tide lifts all of the boats” philosophy. If someone opens another brewery it just increases the market demand for craft beer. Right now, craft beer is still a small part of the overall beer market. So, do your homework and don’t get talked into things you don’t really need. Start small. It’s easier to look bigger brewery and think “Oh, I have to do what they are doing right now.” But, you have to understand that the bigger breweries have been doing this for years. You have to do what’s best for your company and, for a startup, that comes down to making great beer. Our business mantra is: it’s all about the beer. Sometimes you can get sidetracked and think that you need to do all these crazy promotional things, but what you need to do is make exceptional beer that people love. Everything else will follow. Nobody wants to be that first-time skier that shows up at the top of the mountain with all the fancy equipment but doesn’t know how to ski. We definitely don't want to be the craft beer version of that person. We want to be like people who ski really well and might not have the best or most expensive equipment. We just want to make the best possible beer! Check out their Facebook, Twitter, and Instagram pages!